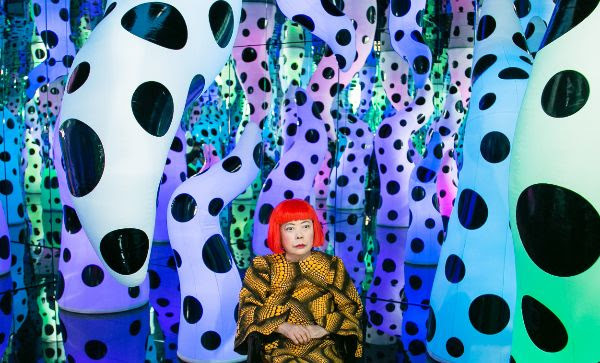 (Boston, MA) Jill Medvedow, Ellen Matilda Poss Director of the Institute of Contemporary Art/Boston (ICA), announced today the acquisition of Yayoi Kusama’s LOVE IS CALLING (2013), one of the artist’s 20 existing Infinity Mirror Rooms. LOVE IS CALLING is one of Kusama's most immersive, psychedelic environments and features vividly colored, tentacle-like, inflatable sculptures covered with the artist’s signature polka dots and encased in a mirrored room to create an illusion of infinite space. It is the second work by Kusama to enter the collection, alongside a 1953 work on paper of organic forms, dots, and colors—elements that are characteristic of her work. LOVE IS CALLING has been acquired through the generosity of Barbara Lee, The Barbara Lee Collection of Art by Women, Fotene and Tom Coté, Hilary and Geoffrey Grove, Vivien and Alan Hassenfeld, Jodi and Hal Hess, Barbara H. Lloyd, and an anonymous donor. A new anchor in The Barbara Lee Collection of Art by Women, LOVE IS CALLING goes on view in Fall 2019. 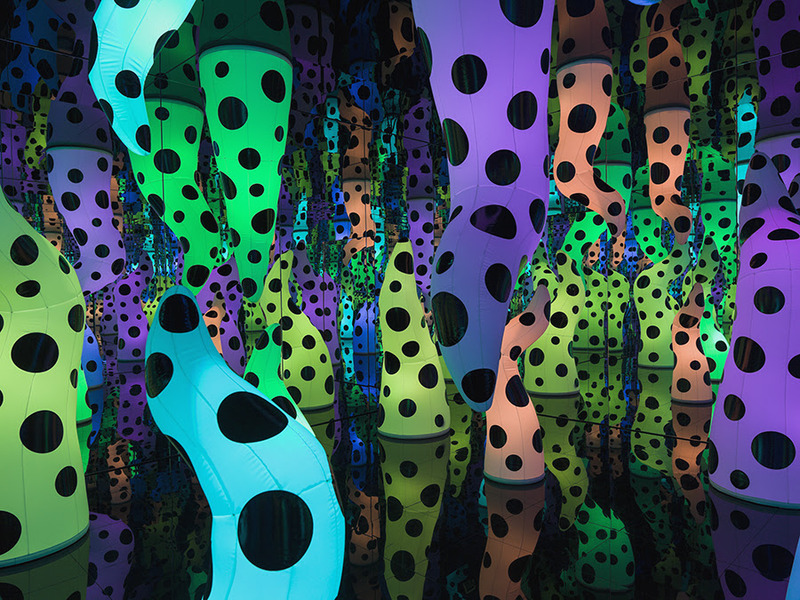 With LOVE IS CALLING, Kusama offers visitors the opportunity to experience her notion of the infinite. As visitors walk throughout the installation, a sound recording of Kusama reciting a love poem in Japanese plays continuously. Written by the artist, the poem's title translates to Residing in a Castle of Shed Tears in English. Exploring enduring themes including life and death, the poem poignantly expresses Kusama's hope to spread a universal message of love through her art. artGuidemag is the top Massachusetts gallery guide and art guide for art galleries in Massachusetts. With a comprehensive, top Boston gallery guide and Boston art gallery directory, Boston art lovers will find no shortage of Boston art, Boston art galleries, as well as art museums in Boston . Be sure to use the top list of art galleries in Boston.